Are you, or is someone you know a farmer who has transitioned to organic production? Read on below and forward this information to anyone you think might be interested! Tell COG about your experience transitioning to organic production! 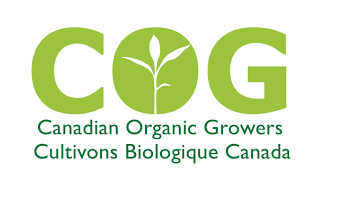 COG is leading a national research project looking to understand the risks and rewards of transitioning to organic production. This gap in understanding needs to be filled so COG can develop appropriate programs, tools, insurance, and policy for organic producers. COG is looking to recruit 40 farms from across Canada for this study. Their great team of risk management consultants will visit your farm to learn about your unique experience transitioning to organic production and collect data on how your cost of production, yield, and profit have changed. Your information will be kept confidential. Farms (any type, scale, and location) that have transitioned to organic production with an emphasis on those who transitioned during or after 2009. A risk management consultant would contact you explain what production data they’ll need to collect. The consultant would then visit your farm for a tour and interview. Estimated time including preparation, interview and follow-up is maximum of 12 hours – spread over a few months. The risk management consultant can provide you with valuable feedback and advice about the current risks on your farm. Also, good karma. Please let COG know if you would be interested in participating in a case study. This is a big opportunity for the organic sector to collect a benchmark dataset that will be used to inform programs and policies for organic producers. By participating in this study you are helping to secure the future of organic farming in Canada – together we can find answers to the unique challenges faced by organic producers and grow our industry. The timeline is short, and the time of year is busy! Contact: Ashley St. Hilaire at ashley@cog.ca or Rachael Muller at rachael@cog.ca if you are interested in participating in a case study. They hope to have all participants recruited by June 1st.